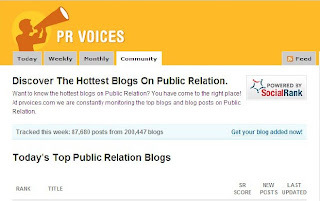 The PR Lawyer Blog ranked in the Top 50 PR Voices for Public Relations Blogs today! Thank you for reading and commenting. Please let us know via the comment tool what topics are of most value to you.